Offering delights of kitamae soba noodles and a selection of side dishes that complement well with sake, Takadaya offers soba noodles carefully hand-kneaded daily. Come to Takadaya to savor delectable Japanese cuisine. 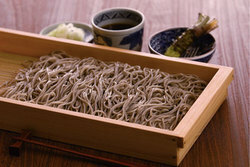 Takadaya offers kitamae soba noodles and palate-pleasing side dishes to accompany Japanese sake. Takadaya serves delectable dishes made with fresh ingredients shipped from all over Japan and a delicious selection of alcoholic beverages. 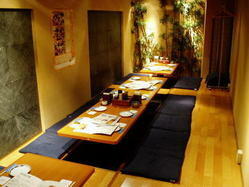 Relax in the slow-paced atmosphere in a traditional setting of jazz playing in the background. Conveniently located near Akiharaba, Asakusa and the Sky Tree, please stop by for pleasant dining experience while sightseeing in Japan.